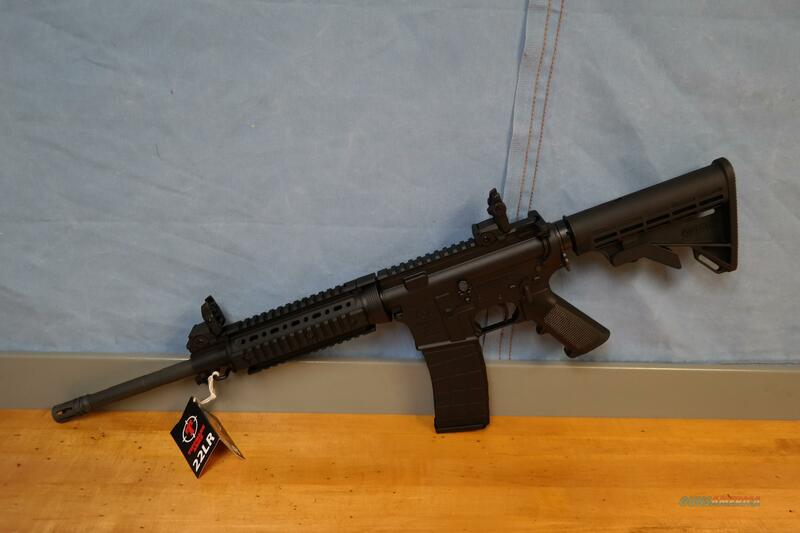 Description: This is a Tippman M4 Classicrifle chambered for .22 LR with aluminum Receiver and Upper. This is a phenomenal little rifle that is adaptable to most AR aftermarket parts. This rifle has a16” 4150 barrel with a quad rail handguard. The trigger breaks at a nice 4.5 pounds and there is an ambidextrous sling mount. The stock has 5 positions of adjustment. This rifle comes in the factory packaging with user manual, Two 20 round magazines, flip up adjustable sights, and cable lock. Please take a look at our other listings or visit our website at fmzguns.com for more inventory! If there is any firearm or accessory you are looking for let us know and we will try our best to find it for you.